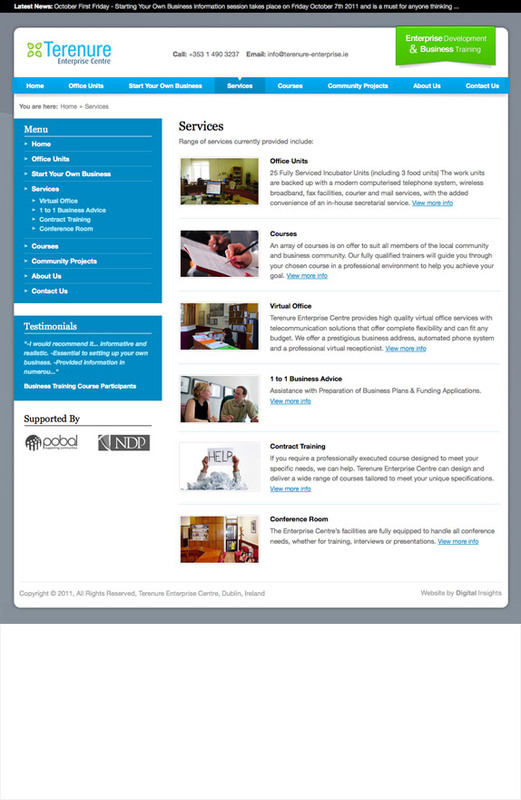 Terenure Enterprise Centre provide office units, business support and training courses for small to medium sized businesses. 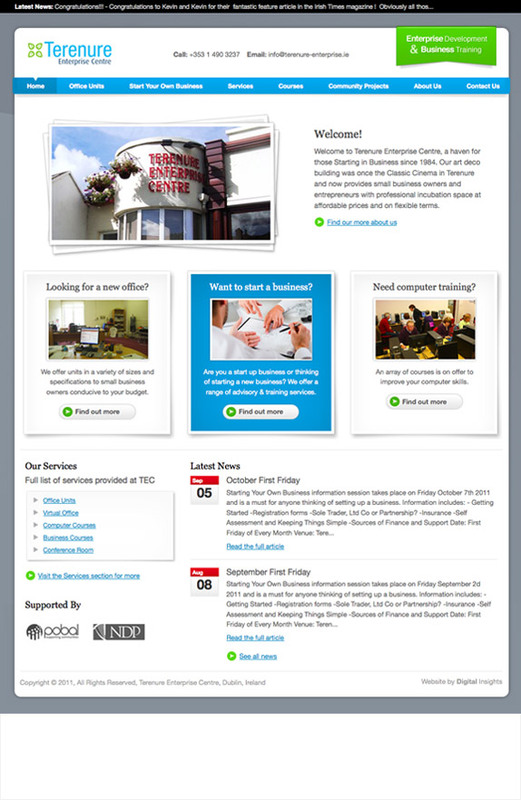 Project objectives: Terenure Enterprise required a complete revamp of their existing websites image and underlying functionality. Digital Insights worked with management to define the organisations key business and user objectives. 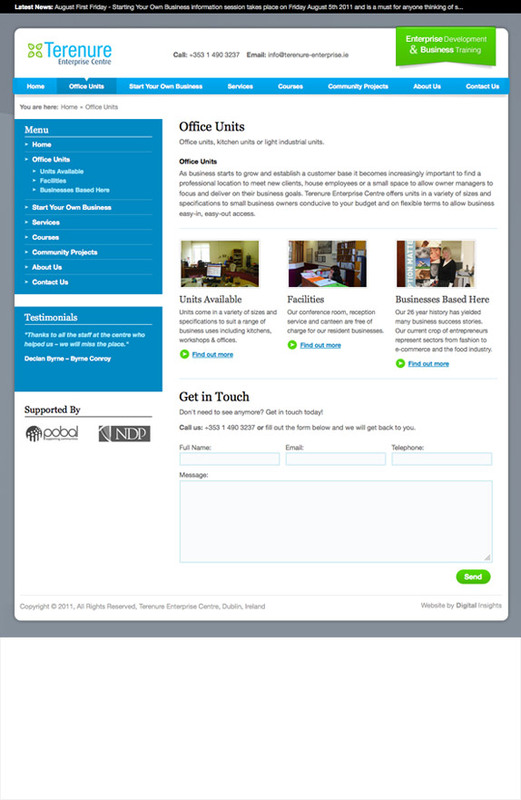 Leading onto brand development, a full redesign and development of the website with a content management system that allowed staff to update the key areas of the organisations business, including: office units to let, course availability and bookings.